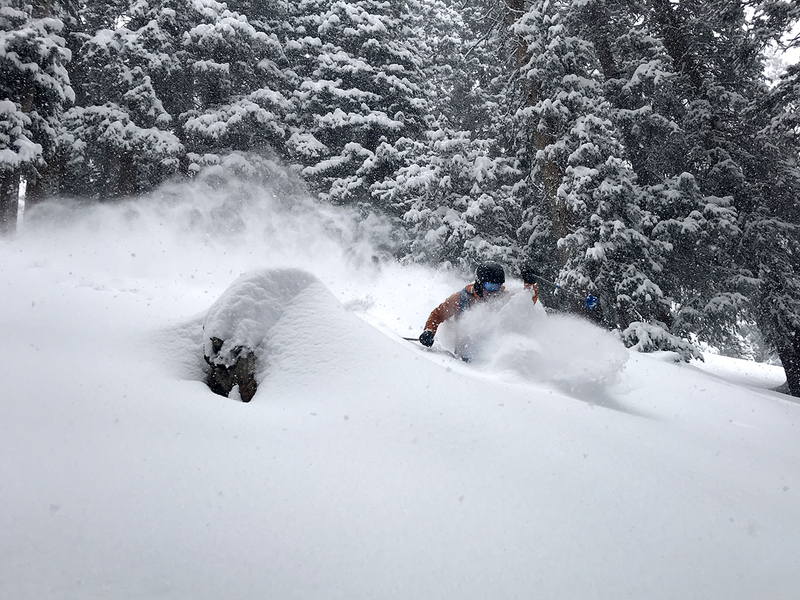 If you’re traveling in avalanche terrain, airbags can often be a good idea — they’ve proven to decrease the probability of a full burial in the event of an avalanche, and their use has become increasingly popular with backcountry skiers, snowboarders, snowmobilers, etc. However, one of the chief complaints with airbag packs is that they’re heavy and that the systems take up a lot of space, leaving less room for your gear. 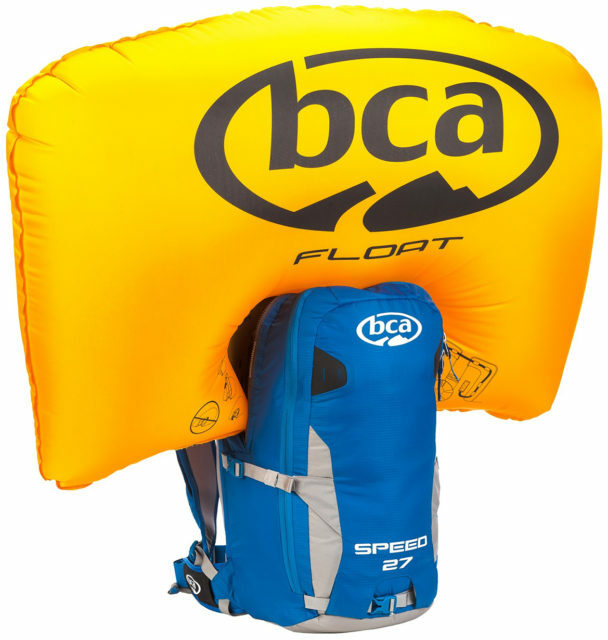 This year, Backcountry Access (BCA) introduced their new Float 2.0 system that not only takes up less room in the pack (reportedly 30%), but is also lighter than the previous iteration (reportedly 15%). Weighing in at just under 2600 grams for the entire pack + airbag system + and full canister, the BCA Float 27 Speed is one of the lightest packs on the market for its size. This season, BCA is offering packs with both their older Float 1.0 system as well as two packs that utilize the new Float 2.0 system. They have a wide variety of Float 1.0 avalanche airbags, from smaller 8 liter packs designed for days of heliskiing, catskiing, and sidecountry laps, all the way up to the larger 42 liter pack that tends to be more popular with guides, ski patrollers, and people doing overnight trips. 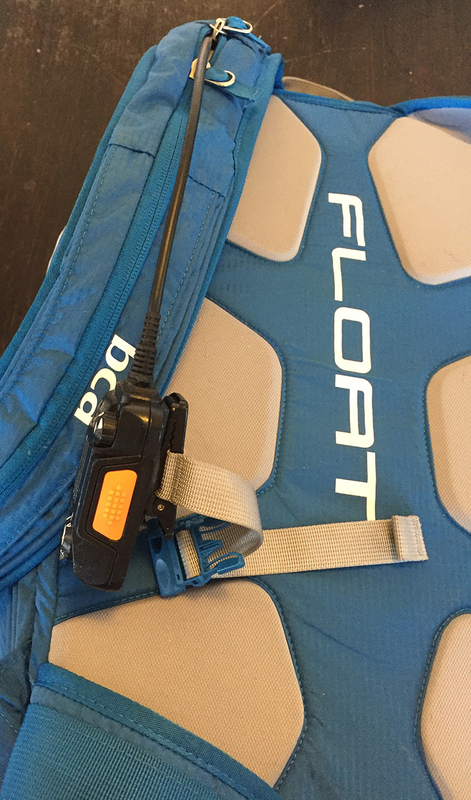 The new Float 2.0 system is currently available in their Float 17 Speed and Float 27 Speed packs. For the 18/19 season, BCA will only offer packs with the Float 2.0 system, and in addition to the lighter and more minimal Float 17 Speed and Float 27 Speed (which come back unchanged), they’ll offer more fully featured 12, 22, 32, and 42 liter Float packs with the new Float 2.0 system. Like the original BCA Float 1.0 airbag system, the re-designed 2.0 system in the Float 27 Speed uses a compressed air cylinder with a mechanical trigger. When activated, the trigger pulls a pin, opening a valve at the top of the cylinder, releasing air into the bag, and causing it to inflate. Like all cylinder-based systems, the Float 2.0 system is single-use, and its canister must be refilled before using it again. And, like all compressed-air cylinder systems, it must be discharged before travelling by plane in the USA (a TSA requirement). BCA’s website details the steps you should take before flying. Their website also has a search page to find a BCA-authorized refill center for when you land, or after you’ve activated the airbag. If you wish to refill the canister yourself, BCA recommends that you change the o-rings on the valve before refilling to ensure that it functions as designed. They provide an o-ring replacement kit with each airbag pack. After replacing the o-rings, you can refill the cylinder either at a store that has the ability to fill the cartridge with compressed air (e.g., a scuba shop), or by using a high-pressure floor pump (which generally cost around $150-$200). I’ve used one of these floor pumps to refill my Mammut cylinder, and it takes quite a bit of effort and a good 15 minutes or so to bring these cylinders up to the required PSI (BCA recommends somewhere between 2800 and 3000 PSI at room temperature). While the electrical airbag systems offered by Black Diamond, Pieps, Arc’teryx, and, now, Scott are much easier to recharge, it’s still nice to have the floor pump option for the air-cylinder systems offered by BCA, Mammut, Wary, and Ortovox, especially when travelling (though the floor pumps are somewhat bulky). This isn’t an option with the compressed-gas airbag systems offered by Scott, Arva, and ABS that require purchasing single-use replacement cylinders from an authorized dealer. Unfortunately, BCA’s airbag system is not designed to be removable / swappable between packs, so the pack can’t be lightened up for when you don’t need the airbag, nor is the airbag meant to be swapped between their packs to save on cost. Despite the low weight, the Float 27 Speed hasn’t been stripped down to the bare minimum. 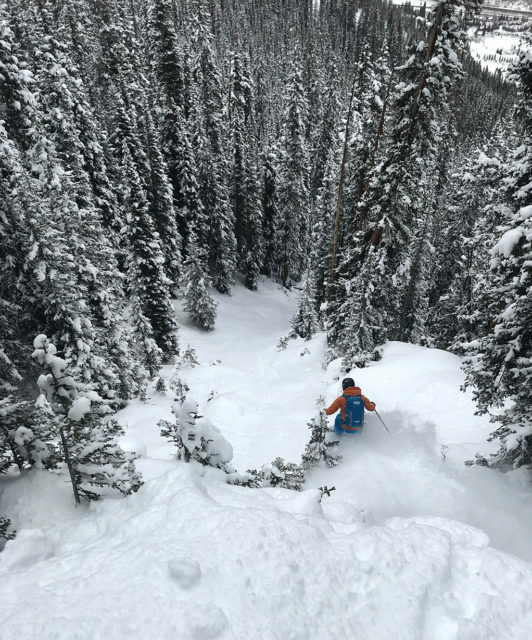 Its feature set is still pretty strong, and it has most everything one would look for in a ski pack. An internal sleeve with a drain hole helps separate your shovel, probe and skins (or whatever you choose) from the rest of the pack contents. Above the sleeve is a zippered stash pouch for small essentials like a slope meter, compass, map, snacks, sunglasses, headband, etc. The Float 27 Speed is also equipped with several useful technical features, like hipbelt gear loops for rock and ice protection and dual ice tool holders. There’s also a carabiner loop on the waistbelt so that you don’t have to thread the underleg strap through the belt every time (a nice feature for heli, snowcat, and sidecountry laps where you’re taking the pack on and off fairly often). Finally, the Float 27 Speed is designed to work with the BCA’s own BC Link radio, with an elastic keeper in the main compartment for the body unit, and a loop on the chest strap to attach the head unit. Perhaps one of the more interesting features of the Float 27 Speed is that all the airbag elements are completely segregated from the main compartment behind a zippered covering, instead of being loose and exposed inside the pack. As a result, there’s less chance of your packing job interfering with the deployment of the airbag, which is pretty cool. If you’re less worried about minimal weight and are looking for a more fully-featured pack with burlier materials, the 18/19 Float 32 will feature the Float 2.0 system and includes features like an internal frame, waistbelt pockets, helmet carry, and vertical snowboard carry. However, we have only used the Float 27 Speed, and can therefore not comment on the other 18/19 Float packs’ individual performance. 500 mL insulated thermos or 1L bottle. 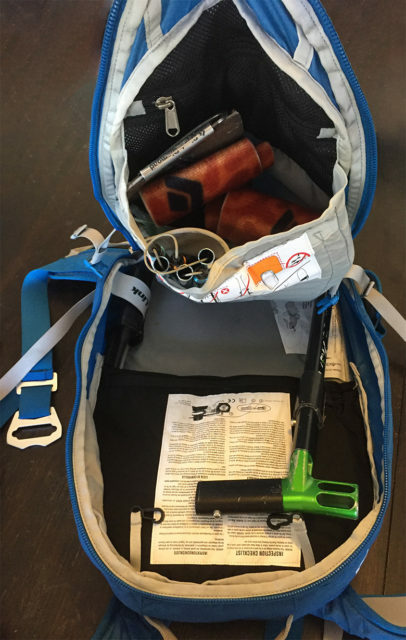 Without the bulkier items like ski crampons, boot crampons, and binoculars, the pack is much easier to open, close and sift through the contents. The Float 27 Speed definitely doesn’t have as much room as my larger and much-heavier Mammut Pro RAS 35L pack, and definitely has more space than my comparably-heavy Mammut Rocker RAS 18L pack. The Float 27 Speed seems pretty comparable to an old Mammut Ride RAS 30L that I used to own (though I wasn’t able to directly compare the two side-by-side). Fully loaded, the Float 27 Speed carries well, though the back length feels a bit short for my 5’10” frame (the pack is only available in one size). The lack of a rigid frame didn’t seem to be much of a drawback as the pack carried skis well, even when not fully loaded. The buckles for both ski carry loops are a nice convenient touch over sliding the skis in and out of an adjustable loop. And, when not in use, the buckles and straps tuck away quickly and stay out of the way. The BC Link radio head unit attaches to the chest strap in the ideal location for easy use, and I haven’t had issues with it flopping around or falling out throughout the day, even when taking the pack on and off or tossing it on the ground. While the Float 27 Speed’s features are well-thought-out, the zipper pulls are another story. Made from a minimal grosgrain-like material, they’re slippery and not easy to operate with gloves on. After a few days, I cut them off and replaced them with large-knotted cords. On the uphill, there’s no easy place to stash a jacket or helmet on the outside of the Float 27 Speed. The pack’s side compression straps are the obvious choice, but the buckles don’t click together across the front of the pack, so you’d need to stash the jacket on the side of the pack where it gets in the way of operating the zipper to open and close the pack. I ended up clipping my helmet onto the shoulder strap webbing, where it attaches to the hipbelt. 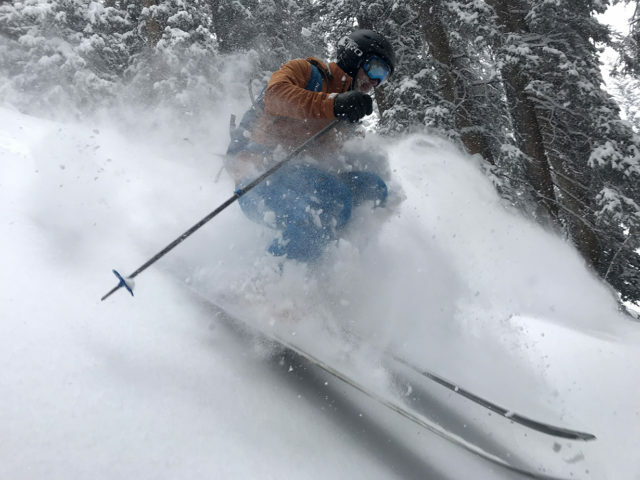 This exposes the helmet to snow, but I’ve used this strategy with success for several years now on a number of different packs. However, a couple of small loops and an elastic mesh net that is often found on ski packs would be a welcome addition. 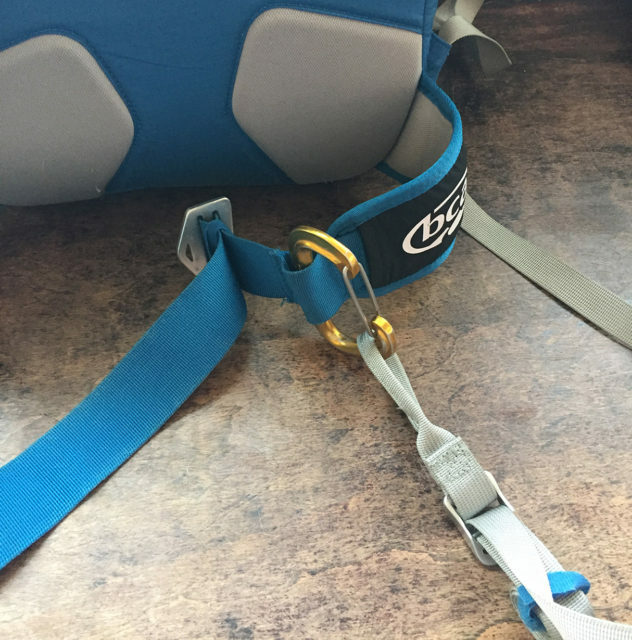 More external attachment loops could also serve to attach a crampon bag, freeing up additional space (a system like this is found on most Mammut ski packs). The Float 27 Speed doesn’t have any hipbelt pockets for stashing snacks, so I kept them in the mesh zippered pouch above the tool compartment sleeve, along with my headband and sunglasses. This pouch stays out of the way and is pretty quick to get in and out of, so it wasn’t a huge deal. BCA’s website currently says that the Float 27 Speed has two hipbelt pockets, but we have confirmed with BCA that the production versions do not. When opening the bag to access your probe and shovel in the event of a buried partner (in theory), all the tools are readily accessible without having to rummage through the rest of the gear. However, when stashing skins at the top of the line, the tool compartment sleeve is a bit tight. It’d be nice if that panel of fabric was a bit wider, to make it easier to stuff skins. To me, it seems unnecessarily narrow, but if you prefer to store your skins in the main compartment, that won’t be an issue. Brian Lindahl with the BCA Float 27 Speed, CO Backcountry. On the downhill, the Float 27 Speed stayed nice and tight to my back, even with smaller sidecountry loads. I didn’t notice much of a difference between the feel of this pack and my 18L Mammut Rocker airbag pack on the descent, even on larger airs or pillow lines. This is impressive given the Float 27 Speed’s larger size. After 20+ days in the Float 27 Speed, the pack is still in good shape and I haven’t noticed any durability issues. That said, 20+ days is not very long, so I’ll be sure to report if that changes. The Backcountry Access Float 27 Speed is a solid, lightweight avalanche airbag that should definitely be on your radar if you’re in the market for an airbag pack. There are bigger and smaller bags, but the Float 27 Speed is sized very well for a typical mid-winter day-tour, though it’s a bit tight for more technical and / or longer routes. I have a few minor nitpicks with the pack, but the Float 27 Speed is very impressive overall. It isolates the airbag mechanism and tools into separate compartments and has all the “necessary” features without too many extras, making it a good all-around option. 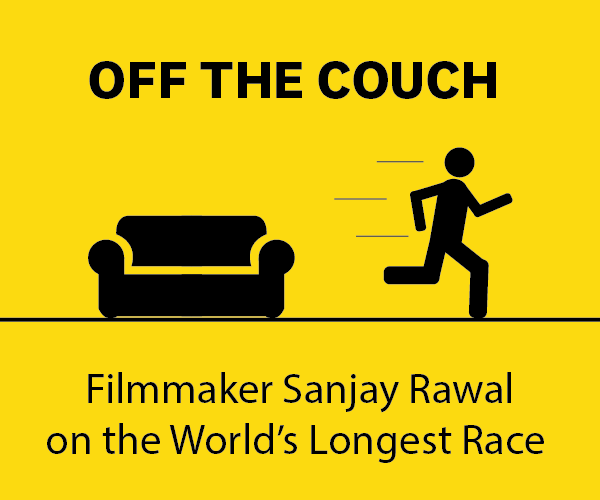 Finally, and importantly, it felt comfortable both on the uphill and the down. Shovel handle doesn’t fit in avy gear compartment? I have the Float 27 Tech, and my main complaint is that the avy gear compartment is too small for skins. Nowadays I keep extra layers and anything I want to keep dry inside a drybag in the main compartment anyway, so skins can just go in the main compartment. Still disappointing though. I also love the hipbelt pockets on my pack; too bad they got rid of them for this one. It fits, but it’s long enough that it gets in the way when sifting through the pack, so I prefer to keep it in the main compartment. The shovel handle usually stays pretty dry, so I don’t have to worry about it wetting out my gear that goes in the main compartment. Like this pack but miss the helmet mesh. Could you take a picture of the way you suggest clipping on the helmet? Thanks for any help. Are those mesh accessories sold separately anywhere?